As usual, for the month of October we're looking at our favorite scenes from the world of horror. I'm not a horror guy. I don't love a lot of the classic horror movies, and the ones I do love tend to be for reasons in spite of their horror roots. 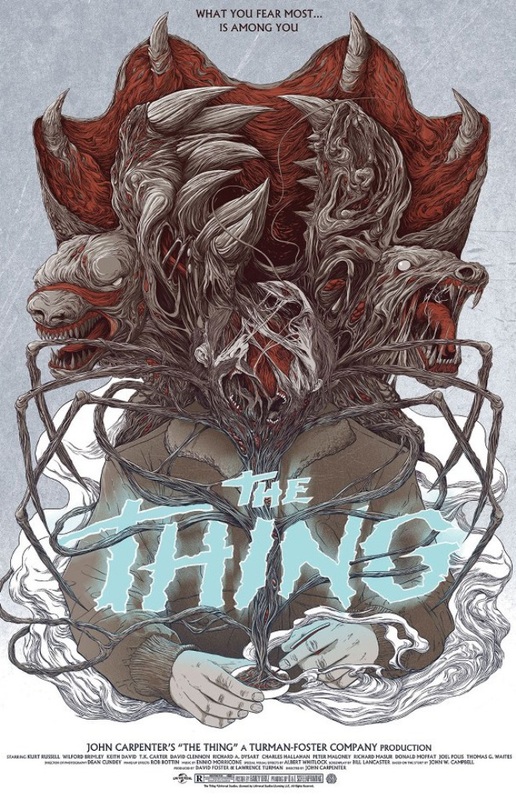 Take John Carpenter's The Thing, for example. 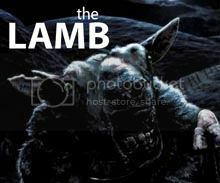 Yes it's a film about a terrifying creature horrifically mutilating the inhabitants of a research base cut off from anywhere, with a palpable sense of dread and a fear of the monster's unknown appearance in every scene, but it's also a monument to character actors, mounting tension and, of course, some of the greatest practical effects work ever committed to film, and that's why I'm talking about it today. Amazing. As the doctor goes to resuscitate, Norris' chest becomes a giant mouth and just eats his hands. The first time I saw this I lost my mind. It completely comes out of nowhere, as up to now Norris had not even been hinted as to being a suspect, and milliseconds earlier you were concerned for his well-being and presuming him dead from shock but nope, he's a monster, he's going to kill everyone, and he's starting with the doctor and his defibrillator paddles. I'll admit, the effects work on the hands being ripped off isn't great - the cut appears some distance above where the teeth bite - but the rest of the scene more than makes up for it. Not-Norris' gut-mouth erupts with flailing tendrils and projectile vomits a flurry of yellow-green bile into the air, along with a Norris-faced, snake-necked spider monster that has yet to leave my nightmares. Understandably MacReady does the sensible thing and unleashes his flamethrower upon this hell-beast, but the monster has another trick, this one involving the still-attached not-Norris head, which stretches at the neck, tongue lolling all over the place, until the neck tears, more bile erupts and the head becomes a separate, night-terror-inducing entity of its own, complete with a whip-like tongue and a haunting noise reminiscent of a tortured soul trapped in a conch shell. If that wasn't enough, the head - in possibly the greatest 6 seconds of cinema history - produces eight long legs and two creepy-as-all-get-up tentacle eyes and scuttles away. Palmer (David Clennon) takes it upon himself to play the audience surrogate here, by resignedly decrying "You gotta be f*cking kidding me," as truly it seems there's no limit to just how hideous this creature can be. What I love most about this scene is how unexpected it is, coming in the middle of an already tense and frenetic moment that gets diverted into a completely different direction, and also just how phenomenally impressive the effects are. Despite having seen this scene dozens of times, I'm still always shocked at just how long the legs that emerge from the head are, and I'm fascinated by the practical effects that went into making them. And yes, my mind does occasionally wander and freak me the heck out by imagining my own head dropping off, sprouting legs and eyes before running away into a doorway and being burned alive. Guess I wont be getting much sleep tonight then. What's your favorite practical effects scene? Great write up. 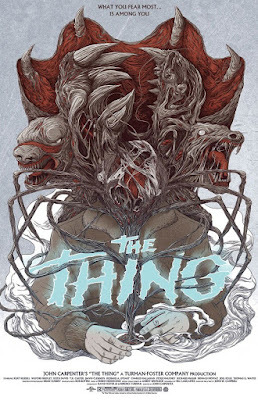 The Thing might be my favorite horror movie and it's definitely Carpenter's best. This has gotta be one of the all time greatest jump/shock scares. I think I read on IMDb that when The Thing mimics you, it mimics your body perfectly, so that's the reason Norris had a heart attack - it recreated him exactly, bad ticker and all.